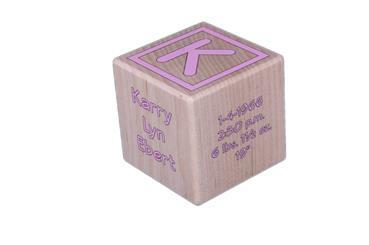 You knew I would get around to it at some point in time :) This is our pink or blue printed baby block. 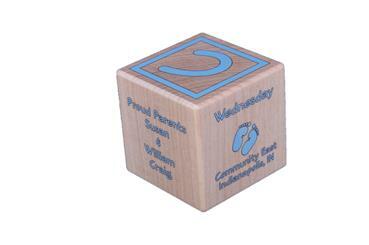 A step up from our standard engraved block but with all the same bells and whistles and a new font to boot! 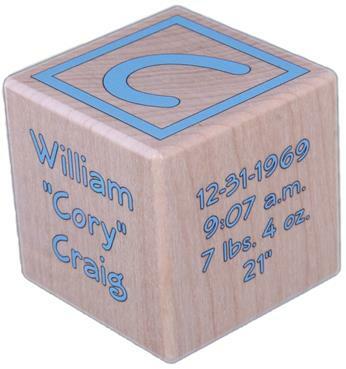 One all natural maple block - 2 inch cube with a poly-whey finish. 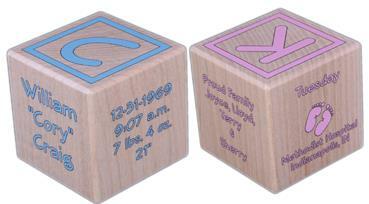 Each baby block is printed with the details of the newborn's birth. 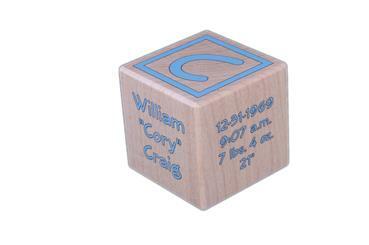 Printed details include: Baby's full name, date of birth, time of birth, weight and length, name of parents, and location of birth. Optional Engraving includes: name of siblings, name of hospital, and name of gift giver.